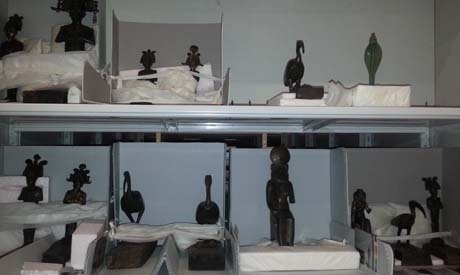 Claims that nine Late period bronze artefacts are missing from the stores of the Grand Egyptian Museum (GEM) are unfounded, the Ministry of Antiquities has said in a statement. GEM Director General Tarek Tawfik told Ahram Online that the artefacts are in store #91 and are in a state of good conservation. Tawfik said the pieces have been in the same place since February when they were transferred from the Egyptian Museum in Tahrir Square. Tawfik urged the media not to publish news before checking the facts. "These unfounded rumours have negative effects on Egypt's reputation in conserving and protecting its heritage," Tawfik said.